This week I had set out to work on another video game inspired wooden tile mosaic as I did in week 9, but after seeing Michael Mooney’s take on the Twin Geekz logo I was inspired to do another redesign. I’ve been looking at a lot of sprites from old games as reference, and I figured these two iconic brothers would be a great fit for the logo. I made a grid in Photoshop and constructed all the objects (Mario/Luigi, the warp pipe, question blocks, etc.) pixel by pixel from NES screenshots and the lettering is the “System” font that’s bundled with Windows. Now it’s back to work on more tile art. I got some great suggestions as to which character I should do next, but you’re going to have to wait until next week to see which one I chose– it’s bound to make at least one of my fellow geekz very happy! Here is the TGAP logo reimagined as Art Nouveau. 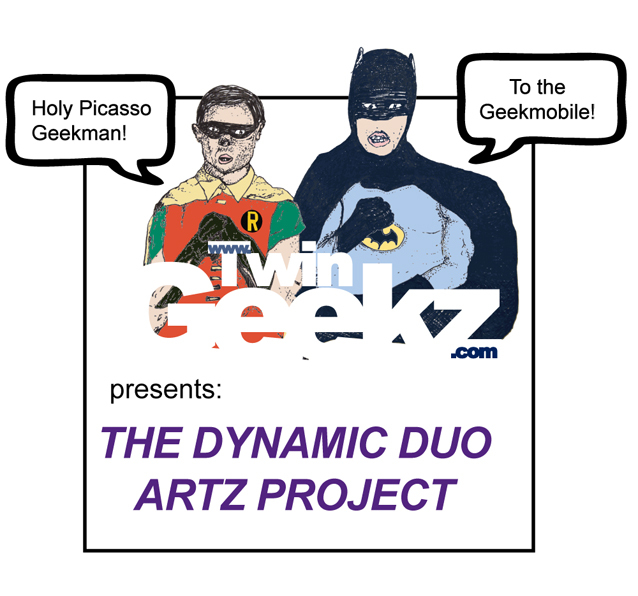 Other Geekz have tried their hand at rebooting the logo, and here’s my first attempt. 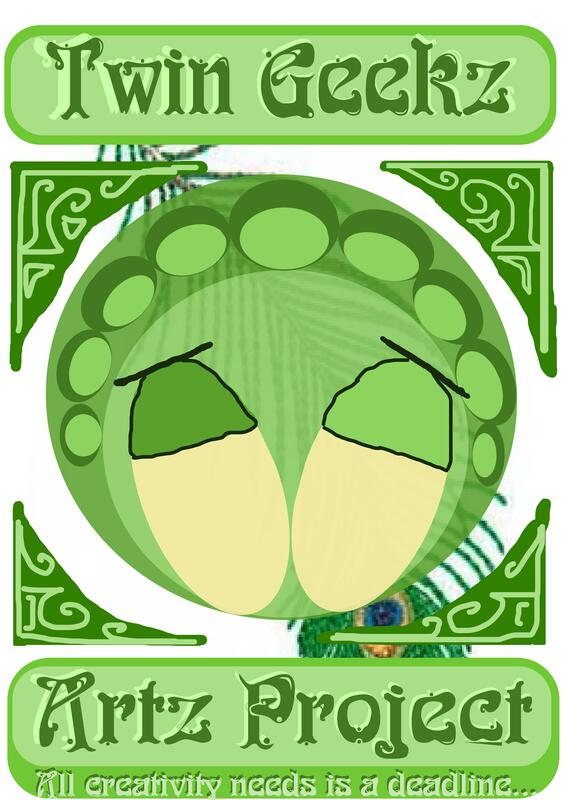 This wasn’t what I intended to do this week – I was fooling around in Inkscape, and looking at some Art Nouveau books, and the piece was half done before I realized what I was making. 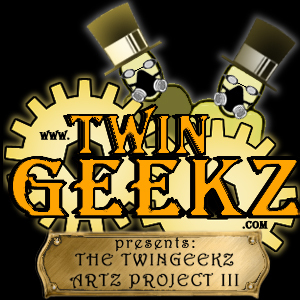 This week I decided to try my hand at reworking the classic Twin Geekz logo. I’m a big fan of steampunk/victorian/retro/industrial themes, so I tried to incorporate that while retaining elements of the original.